There have been some great Klout perks lately. 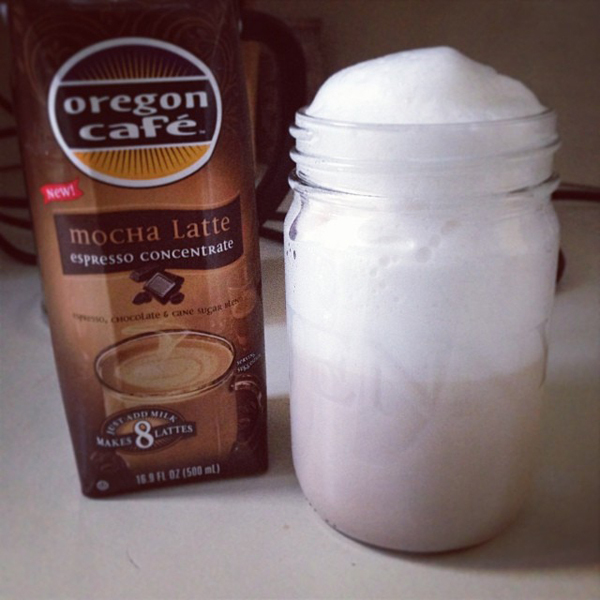 I was really interested to try this Oregon Cafe Mocha Latte espresso concentrate. It's so easy to make - 3/4 cup of hot milk with 1/4 cup of the syrup, and tastes so good! I heated my milk in my Aeroccino so my milk was nice and frothy. I like that it uses real cane sugar also. Along the similar lines I also got a jar of chocolate Hershey's spread. What's not to like? 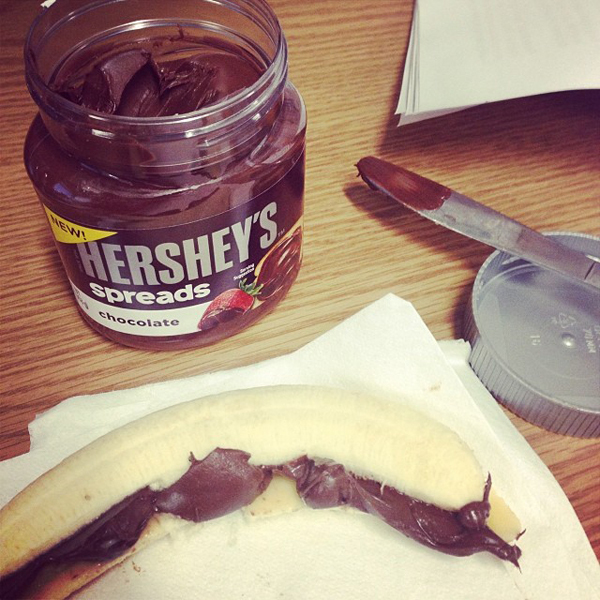 Ooey gooey chocolate spread? I used mine on a banana. Delightful! I think it would be great on toast too. 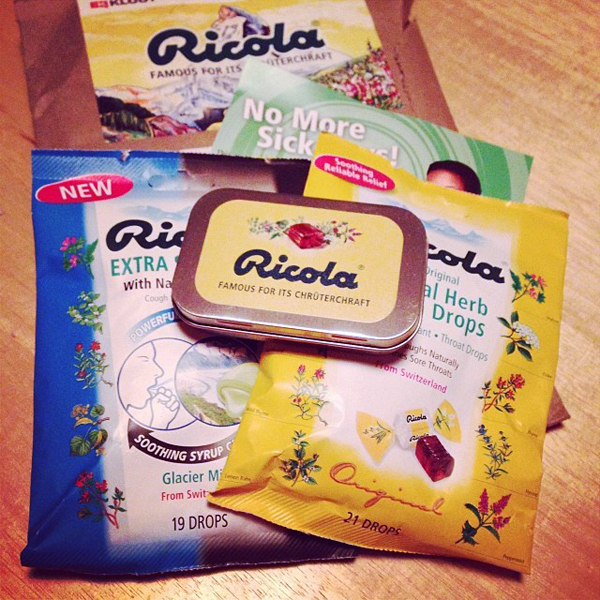 With this bitter cold winter, what could be more appreciated than Ricola cough drops? I saw these everywhere when we were in Switzerland. The singing box was a treat to open, but it wasn't needed to convince me of how affective Ricola cough drops are. The extra strength are so strong, I can't hold one in my mouth until it disolves! I was thrilled when Ricola sent another batch of cough drops. I promised some for my dad to try, now I have plenty to share.